When it comes to “fix and flip” investing, understanding the market is critical to your overall success. Instead of paying for appraisers pre and postfix, serious fix and flip investors use comparables. Comparables are similar properties in the area that can be used to determine the value of your property. But, comparables along can’t give you an entirely accurate representation of how valuable an investment is. If you’re doing fix-n-flip investing, the prices of sold houses alone can’t provide you with insight into how valuable your fix-n-flip campaign will be. You need to know if other investors have done the same thing in the area. You need investor comps. Let’s say that you’re looking to buy a run-down property, funnel some capital into it, and put it back up on the market. That’s your typical fix-and-flip routine. Before you push that purchase button on a run-down property, you need to make sure that the market is healthy. Comparables can give you a good idea of what property sales are in the area, but it doesn’t give you an idea of how well fix-and-flip investing works in the area. Sure, you know that properties are getting some sales, but investor comps let you know if investors have made a profit from similar ventures (whether that be fix-n-flip, MLS, teardowns, pop-tops, etc.) in that area. If no-one has been doing fix-and-flips in the area, you’re going to have some difficulties establishing a plan that isn’t risky. Or, on the flip side, maybe you’re all about the risk, and you want to be the first to establish a method in a new area. 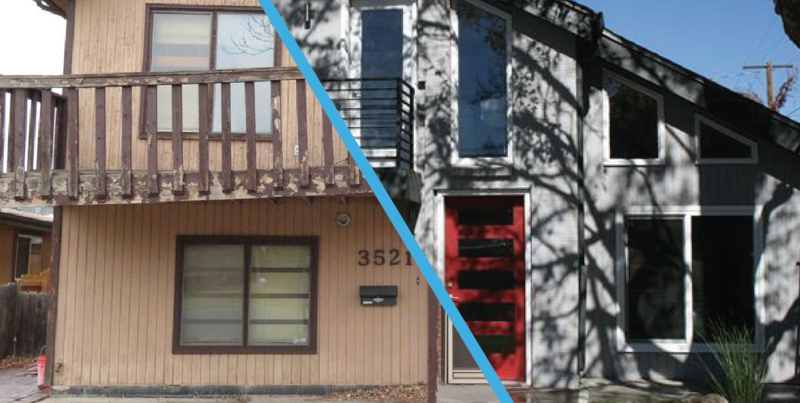 Either way, investor comps give you insight into what investors are doing — not just realtors. We know what you’re thinking — “The concept of investor comps is great and all, but how does it affect my bottom-line.” You’re an investor; the first thing you’re focused on is what investor comps can do for you in terms of profit. Fix-n-flip investors work on time margins. The quicker you can fix and flip a home, the more money you’re going to make. The more time that passes post-fix, the lower your margins are going to be in the end. So it’s critical that you process homes as quickly as possible. Comparables can give you a decent idea of the price you should be selling for, but investor comps can give you a good idea of what strategies you can use to flip houses fast, see what other investors are doing in the area, and give you tactics that can help you flip houses quicker and price them more accurately. You can’t just go out and get investor comps. Without the right software, figuring out what your competition is doing can be nearly impossible. Privy offers incredibly powerful feature-rich software that gives incredibly powerful and complex investor insights. Let you see accurate spreads (potential profits) in a particular area. Accurately compare complex variables against the current market. Let’s you see the spread of other fix-n-flip investors in the area. Gives you an insight into active competition to help you compete in your area. Privy’s investor comps can help push your investing strategy to the next level. You can get deep insights into your competitor’s strategies, analyze profit spreads in specific areas, and get a good idea of the overall health of the housing market in your area. To learn more about how Privy’s affordable investor comp software can help take your investments to the next level, contact us.